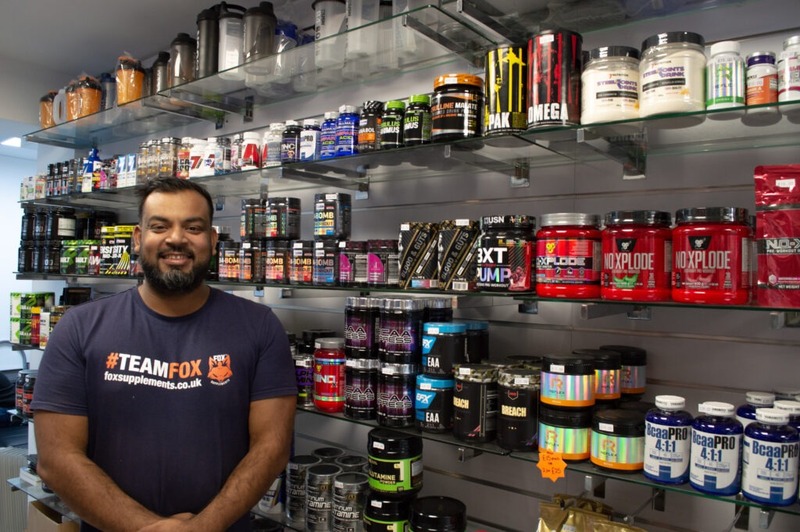 The latest in the line up of businesses to feature in our Bethnal Greeners series are Fox Supplements; a supplement shop situated on Bethnal Green Road stocking a wide range of national and international supplementation products. We recently caught up with Jay at his shop to find out more about his business, what he has on offer and learn about his passions for Bethnal Green. This is actually my second business; I used to run an estate agency for 14 years prior to opening up Fox Supplements. I really saw a demand in the market for high end supplements from people who were serious about gym and their overall fitness. These were the same brands used by professional athletes and many were their respective sponsors. I saw an opening for supplementation that differed from what was already on offer from high street retailers such as Holland & Barret. What I wanted was to be another option for people, operating in a brick and mortar style, changing the ratio of people who purchased online rather than walk-in to a shop. I’ve been an avid gym goer myself so I really understand where my customers are coming from, so that helps in shaping the products I make available to the public. I stock a wide range of supplementation products from high end brands used by serious athletes. When I make decisions on what stock to bring in, I always carry out thorough research on each and every product. I look into who the sponsors are for popular athletes in the industry and what products they prefer over others. In turn this means I bring in unique products, national and international brands – many of my customers spend considerable time in the gym and wish to achieve optimal results; I’m just here to assist them on their journey to achieving their fitness goals, providing them with advice and the right supplementation products their bodies need. 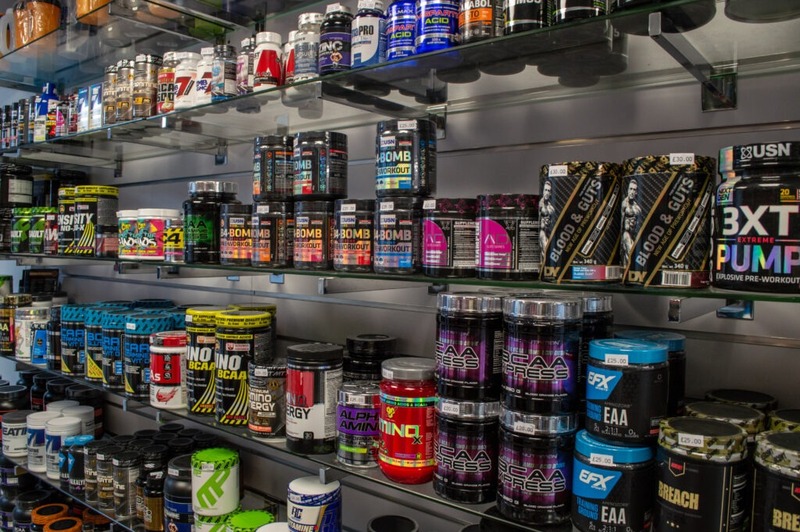 Bethnal Green, I felt like it was the right place to open up a supplements shop due to the close proximity of a number of gyms and the growing popularity of health living and fitness. Also, I’ve grown up around here so I’m a local face; I thought to myself where else would I do so but somewhere where my friends can turn up to, it just made sense. If I opened up a shop say for example in Walthamstow, then hardly anyone I know would turn up. If however, people heard “Jay” opened up a shop in Bethnal, they would swing by and purchase from me, someone they know and can trust. I believe having a local face still matters, yes maybe if this was a chicken and chip shop it wouldn’t matter as much but with something like supplements, people want to buy from someone and somewhere they can trust. I think most importantly, I like to think of myself as an ethical person, I really want to operate in this manner, unfortunately this industry is known to have a problem with substance misuse, in the world of supplements; everyone wants to grow big and do so quickly. Steroid misuse is prevalent, I want to steer people away from this, from harming themselves and move them towards making the right decisions. I don’t just sell products but also offer free consultation and expert advice for people wanting to get the best from their supplementation. 90% of the customers that buy from me want to be sure that the products they opt for work well with their biology and unique genetic makeup. I understand that everyone is different, and no one product will work well for every body type. Sometimes, you find someone in search for a magic pill in this industry, but unfortunately this isn’t the case, and I work with these individuals to guide them towards the right supplementation regime that works best for them. 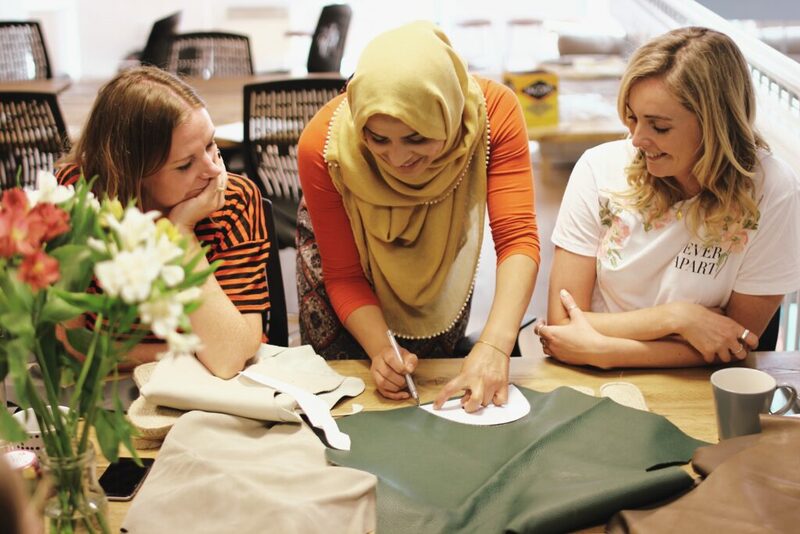 Next up in our Bethnal Greeners series we have the brilliant Juta Shoes, a social enterprise set up with a great mission; equipping underrepresented and underemployed communities with the skills, opportunities and confidence to combat social and financial isolation. As part of Social Saturday 2018, we recently heard from Sabeha Miah, co-founder of Juta Shoes at our networking breakfast. We caught up with her once more to get a further insight! 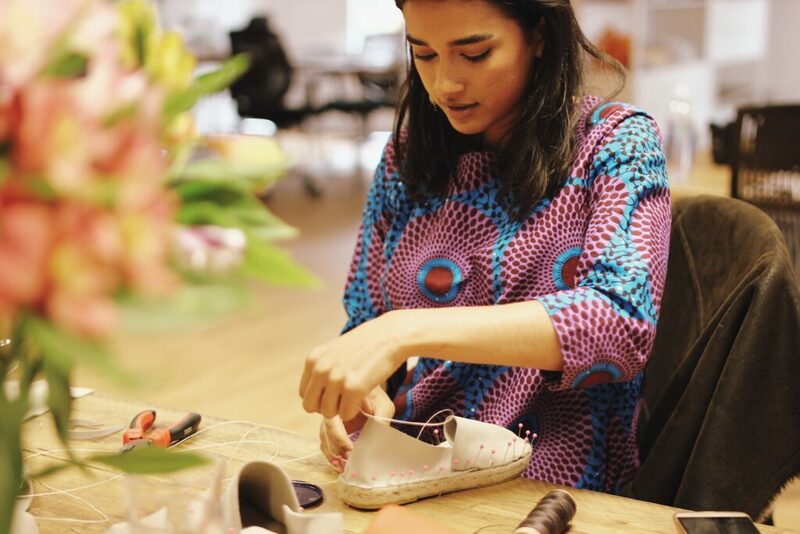 Juta Shoes started in 2016 when Joanna and Sabeha came up with a crazy idea to support women in Bethnal Green into work through shoemaking. We knew there was an amazing amount of creative talent in local unemployed women, but not enough job opportunities that paid well, were flexible around childcare requirements, and came with a supportive community. We also knew there was a lot of waste in the fashion industry, and plenty of leather offcuts in our local area that we thought we could repurpose. So we decided we’d create a company that provided good work while reclaiming waste materials. We started with a Kickstarter campaign in November 2016 – we weren’t sure what people would think ,but we ended up meeting our target in two days. Since then, we’ve branched out into other reclaimed leather accessories, and started running our shoemaking workshops. Since we started, we’ve reclaimed over 200 kilos of leather, worked with some amazing partners, and even won a few awards along the way. Juta runs social impact crafts workshops, and sells bespoke leather shoes and accessories, using sustainable and reclaimed materials. We support, train and employ local women who face barriers to work, offering them flexible, supported, well-paid work making our shoes, accessories and other products, and teaching our shoemaking workshops. We were born in East London and all our roots are here. 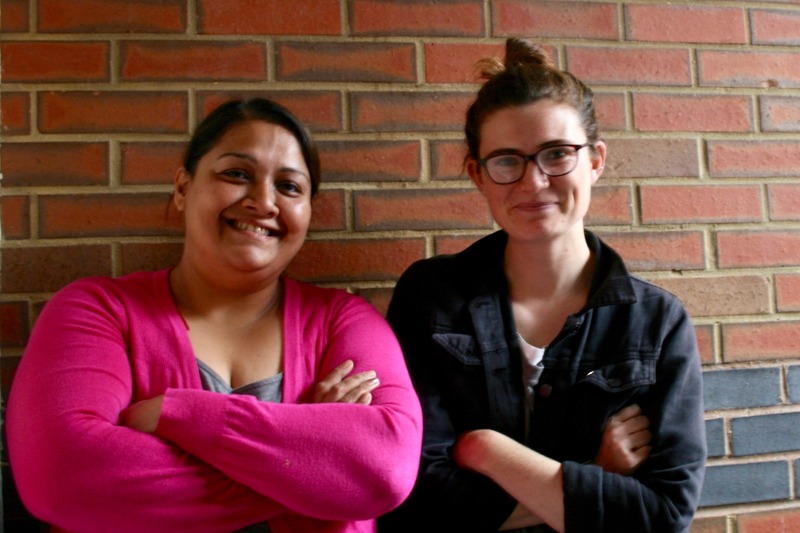 We exist because of the creativity, skills and passion of the women of Bethnal Green, and we love connecting people, companies, charities, and groups from across East London. We work closely with local charities like St Hilda’s East Community Centre, Spitalfields City Farm, and St Margaret’s House, all of which exist to support our local community, as well as companies with offices in East London such as Anthropologie in Spitalfields, Investec Bank, and Forward3D. We love running special group workshops – for teams at companies, for birthday parties, or wedding showers! We can customise our workshops to whatever you’d like to do do, whether you’d like to paint your own leather shoes, make your own purses, or surprise a friend with a special present. In five years, we want to be a nationally-known company famous for providing amazing, immersive social impact crafts workshops and creating beautiful, useful products using sustainable materials. But we’ll always be based in East London! Let’s be honest, if you get out of bed on the right side, Autumn can be a magical season. A lot of us can feel like this is the time of year to embrace the new, saying goodbye to what has been a long hot summer and considering where we want to take things as the nights draw in, and we buckle down for some colder weather and some more considered times. Good luck with your next steps – and we hope you find something that appeals taking place this month in Bethnal Green. Last few tickets available here. Get set for a proper proper night out at Bethnal Green’s favourite under the radar hedonist haven. This month, BOYZ bring you a retro boyband realness at their Drag King Club Nite. If that all sounds a bit much, then that’s the idea. BGWMC continues to support art and creativity from what for many are still the margins, and this evening of no holes barred entertainment promises to really hit the high notes. Get your tickets here. LoveBethnalGreen.com are disrupting Bethnal Green Road market on Saturday 13th October by giving some stalls to social businesses in the area. We want to hear from purposeful people in the area who are making great products, delivering great services or just doing great work. So far we’ve got beatboxers, funders, self-love projects, pottery initiatives, an emissions reduction programme & some quality leather produce made entirely from offcuts. Come and join us on Saturday 13th, and learn about who’s delivering purposeful work in the area. be talking about this in a lively discussion with the audience. Keir Vine from Portico Quartet will be playing a special show, to celebrate the launch of his debut solo album, ‘Instance’ forthcoming on Trestle Records. Support on the night will come from EQLS (Milo Fitzpatrick/Nick Siddall). This promises to be an intimate gig in the Chapel behind St Margaret’s House, with a maximum capacity of just 40. Just 20 or so tickets are available to purchase, so be quick if you’re keen. Tickets £8 advance, £10 on the door. 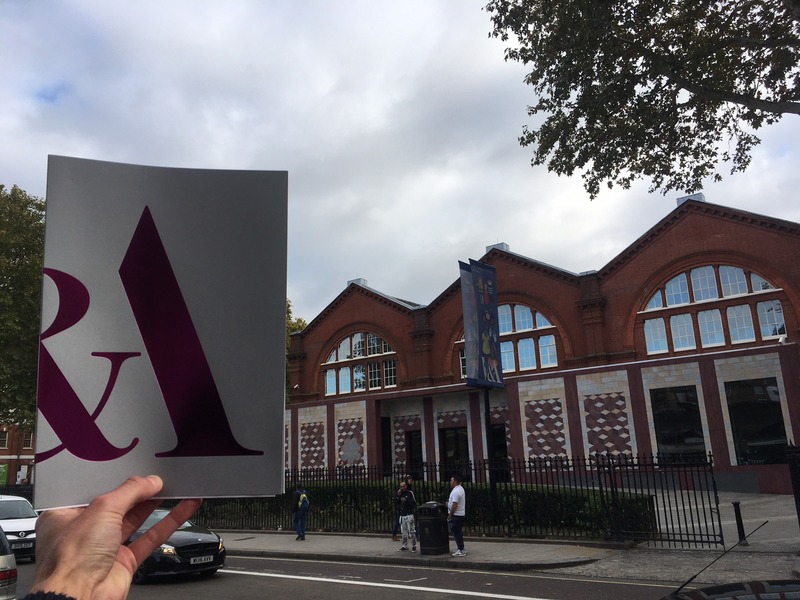 The V&A yesterday announced a multi- million-pound refurbishment of the Museum of Childhood in Bethnal Green, to make a “world-leading” centre for children here in east London. The Wednesday morning breakfast was brilliantly framed by two local schoolchildren, who invited V & A director Tristram Hunt to speak of the project’s capacity to ‘spark ingenuity’, plus MP for Bethnal Green and Bow Rushanara Ali to speak passionately about how she had visited the museum, east London’s first, when she was a child, and remains committed to heightening access to the museum for those who need it most. 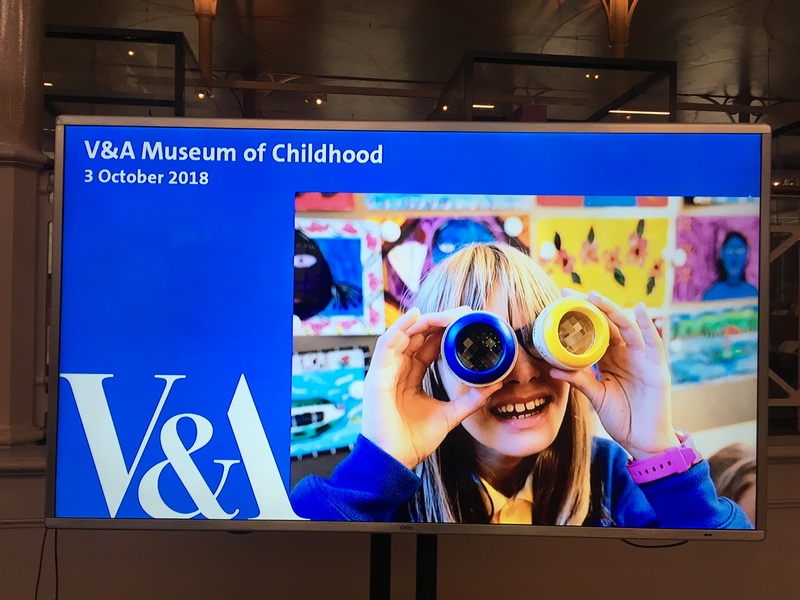 With Tower Hamlets having the highest rate of child poverty in the whole of the UK, and an ever-diminishing arts provision in the classroom, the role of institutions like the V&A in east London have never been more sharply in focus. ‘In and Out’ – looks to reconnect the museum with the street and making access easier. ‘Up & Down’ – via a dramatic new installation called Kaleidoscope, invites visitors to explore the full extent of the museum as the installation connects the lower and upper levels. ‘Around & About’ – reconnects all aspects of the museum, learning spaces and displays, outdoor space and studios. There will be a lot more ‘dialogue’ between the different elements of the museum. This messaging is drawn from the literature that was shared on the day by the lead architecture practice responsible for the plans, De Matos Ryan. Beyond the conceptual ideas that were shared, came the practicalities that this is going to cost £13.5m, and that the museum will be at least part closed whilst the work is carried out. This means that there will be great opportunity for local organisations and institutions in the Bethnal Green area to pick up the work that would otherwise have been delivered at the Museum of Childhood. Now is perhaps the time, therefore, to push forward with conversations around how to partner up and ensure that a broad range of benefits are shaped up for both young people, schools and local organisations alike. Do you have ideas around this? Get in touch & we can discuss them.